Attempts are being made to form a new Technical Group in the Dáil but reports of a new political party have been dismissed by several TDs who were said to be involved in talks. MOVES ARE BEING made to create a new alliance of independent TDs and disaffected and former Labour TDs for the purposes of speaking rights in the Dáil, but there have been no formal discussions as yet. TheJournal.ie has learned that contrary to a number of reports yesterday and at the weekend, there have been no formal discussions about the creation of a new political party, but a number of independent TDs have acknowledged a need for an alternative movement. It is also understood that moves are afoot to create a new Dáil technical grouping but this faces significant hurdles with current standing orders preventing the existence of more than one such group. 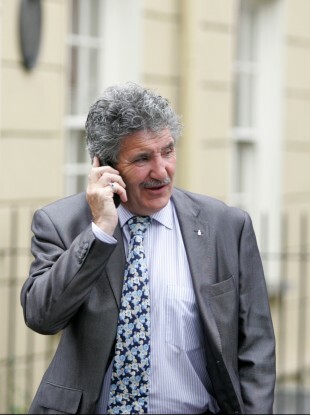 Independent TD John Halligan cooled speculation about the possibility of a new party when contacted yesterday. His fellow independent, Thomas Pringle said he has had no discussions with former Labour TDs but said there is “a need for an alternative and there is an opening for it”. Former junior health minister Róisín Shortall, who is outside the Labour parliamentary party, is understood to be among those orchestrating moves to create a new grouping for the purposes of speaking rights in the Dáil. She remains a member of Labour but recently admitted she is considering this position. The Dublin North West deputy and other Labour TDs who have left the parliamentary party or quit altogether currently have no speaking rights during debates in the Dáil. They are also not allowed to join the existing Dáil Technical Group or create a second technical grouping. However this website understands that moves are afoot to attract enough members of the current Technical Group to a new grouping – involving the likes of former Labour chairman Colm Keaveney, Patrick Nulty, Tommy Broughan and Shortall – in the hope that their numbers would dwarf the remaining members of the Technical Group. A Dáil Technical Group must comprise of a majority of non-aligned (i.e. no party affiliation) members in order to be recognised and have speaking rights in Dáil debates. The belief is that if enough of the current Technical Group were to leave and join another grouping, involving former and disaffected Labour TDs, then Dáil authorities would designate this to be the only technical group entitled to speaking rights during debates. Both Halligan and Pringle said they would be open to discussions about a new alliance should they be approached but Halligan, a TD for Waterford, was cautious about the possibility of joining a new fully-fledged political party. “I was elected and I stood as an independent and I want to keep my independent stance but that would not rule out working closely with other TDs,” he said. Email “TDs speak of 'need for an alternative' amid moves to create new Dáil group ”. Feedback on “TDs speak of 'need for an alternative' amid moves to create new Dáil group ”.